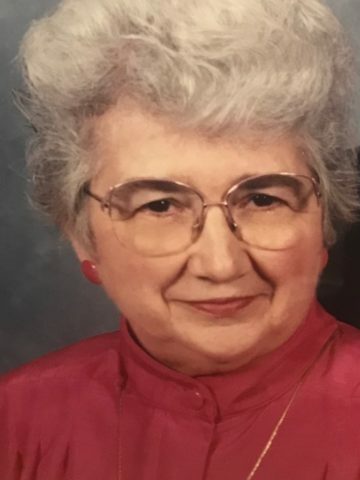 Frieda B. Neely, 96, passed way November 9, 2018. She was preceded in death by husband, James Burton Neely, survived by stepsons Gregory (Martha) from Rusk, Texas and Robert (Nancy) Neely, Nashville, TN. She was preceded in death by husband, James L. Davis, daughter, Rebecca Wilson, grandsons, Sean and Donna Wilson, James D. Davis and Tracy Davis. She is survived by son, David (Jane) Davis of Leavenworth, KS and Paul Dennis Davis of Nashville, TN, granddaughters Michelle Austin of Nashville, TN, Amy Davis of Kansas, Mark Davis of Lake Jackson, TX and Dwight Wilson of Nashville, TN. She had ten great-grandchildren. Also survived by sisters, Esther Mancino of Warren, OK, Alice (Kim) Ralph of Summerfield, Fl and brother Paul Miller (Shirley) of Indianapolis, In. She was a member of Bellevue Baptist Church. She worked for Sears credit office for 34 years. Visitation will be Monday, November 12th 4:00 - 8:00 P.M. Funeral services will be held at Harpeth Hills Funeral Home Tuesday, November 13th at 11:30 A.M. Interment will follow at Harpeth Hills Memory Gardens. I will Ms Freida very much. She was a great lady and good Christian. The most beautiful soul I have ever known. My heart breaks oh, I’m going to know you are singing with the angels. Always in my heart nanny! You were like a second mom to me. Fly high Nanny with the angels. I know you are happy and I know you are at peace. Love you always, Michelle. Frieda was a strong woman with a wonderful personality. God has recieved a wonderful angel full of light and love. I just found out about Frieda while looking up her address today, December 9. I am so sad to hear this. Frieda was a wonderful, caring, inspiring person. I will never forget her or her kindness to me. She was a wonderful neighbor. My prayers go out to Paul and the rest of her family. Much love, Helen. We too are so sorry to hear about Frieda. She was a wonderful friend to my mother/mother-in-law. Condolences to Paul and her family.